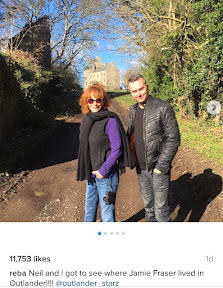 SAM Heughan fan and legendary country singer Reba McEntire made a point of checking out the Outlander filming locations after her gigs at Scotland's Country 2 Country festival. 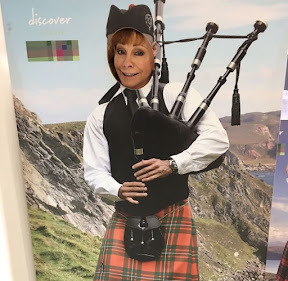 The US multi platinum selling Queen of Country who has sold more than 85 million records worldwide made a point of travelling through to Edinburgh at the weekend to see the recent Outlander filming locations. 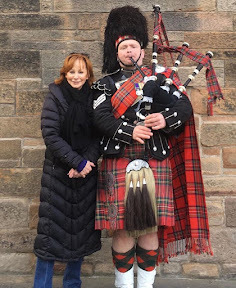 Reba, who once told fans 'my favourite book is Outlander' and "I'd be Claire in an NY second: so long as she's with Jamie", checked out Glasgow Cathedral on her way to the Glasgow Armadillo, Jamie Fraser's home in Outlander as well as the cobbled streets of Edinburgh where the sci fi drama was recently filmed. She told fans: "Neil and I got to see where Jamie Fraser lived in Outlander!!!!" She's now been invited for a return visit to see even more by the Outlander production team and says she can't wait.